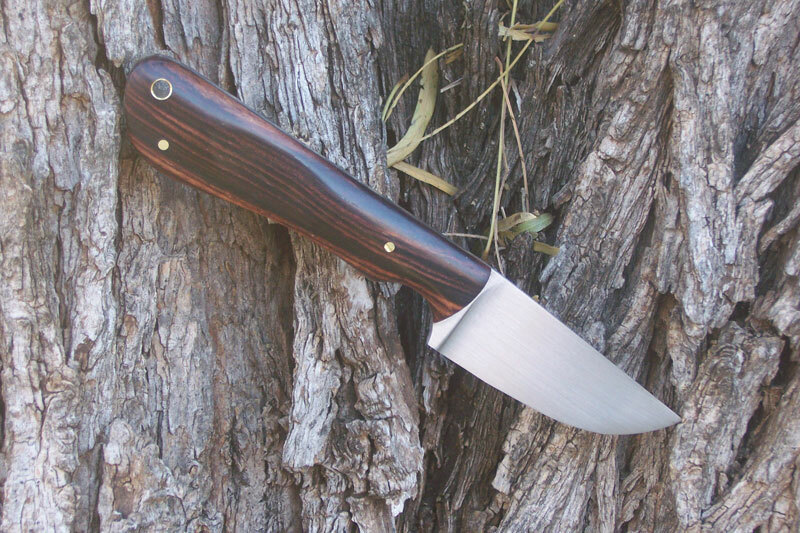 This little knife is 1084 carbon steel heat treated to RC 60 with a 400 grit hand sanded satin finish. 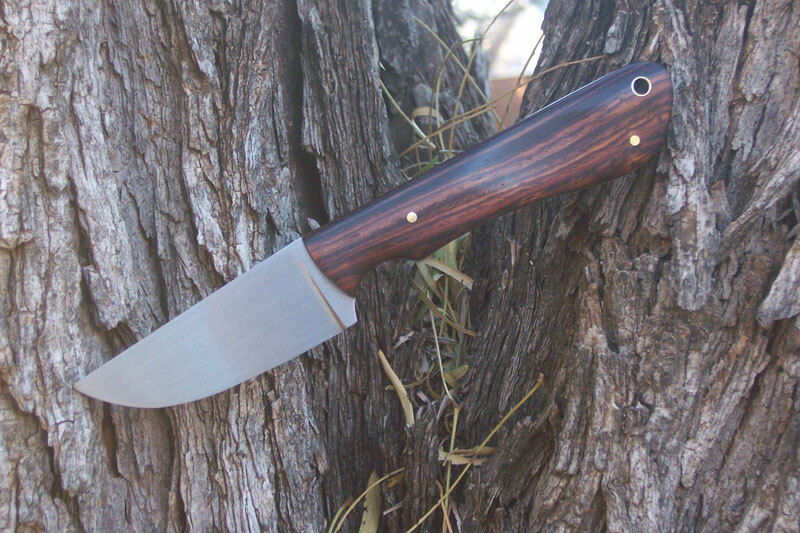 The thin contoured handle is cocobolo. 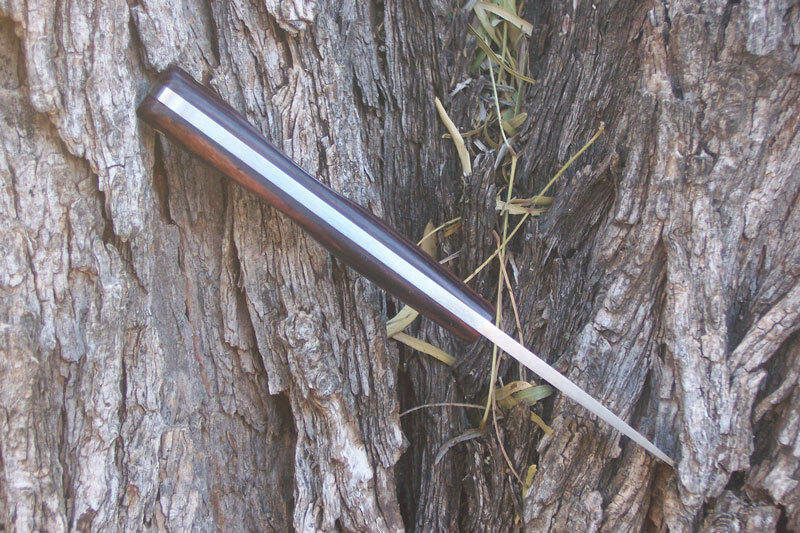 OAL is 6 1/2 with a 2 1/2 clip point blade.